I truly loved this eyeliner from the first second I tried it on my hand. In a test to really see if it was waterproof, I put a mark on my hand and let it dry about 1 minute. Then I rubbed my hand. And the color was still there. Bam! It passed the first test. WATERPROOF – Check. The second test came when I tried to draw a straight line. Never an artist, I made super tiny strokes in case I messed up. Plus I have severe vision loss in my left eye. This time, the line was gorgeous and even better, I could make it thicker and darker with the touch of the pen. It passed the second test. You don’t have to be a professional makeup artist or have perfect 20/20 vision to draw a beautiful line – Check. Don’t know about you but I’m not a fan of waxy pencil eyeliners (they disappear or dissolve on the face) nor eyeliner powders (you have to be an expert to apply). 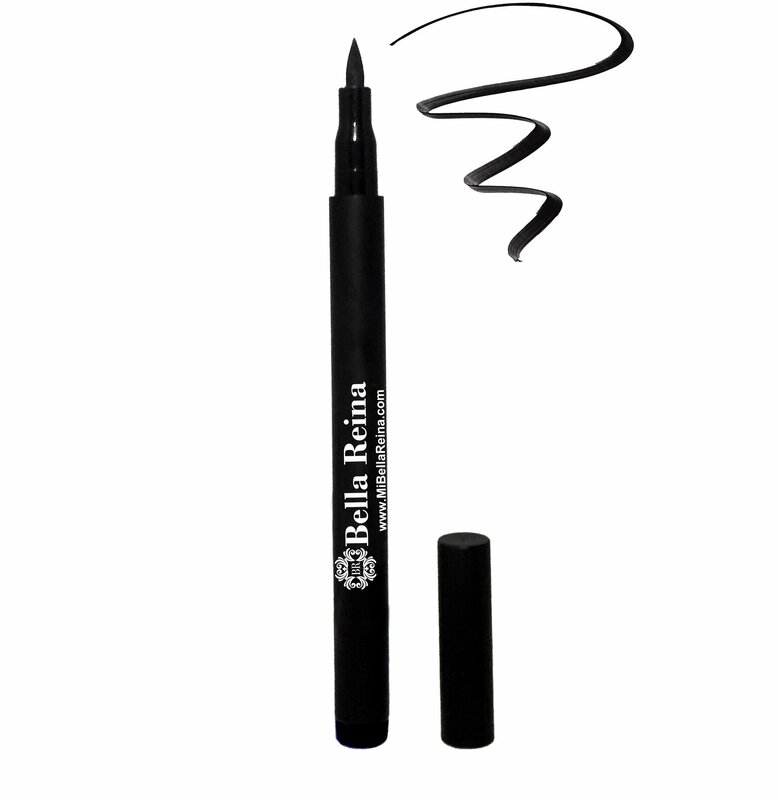 So when I met this Liquid Eyeliner Pen, it was true Bella Reina love. And true love it is in 4 gorgeous long-lasting highly pigmented colors – black, blue, purple (plum) and brown. 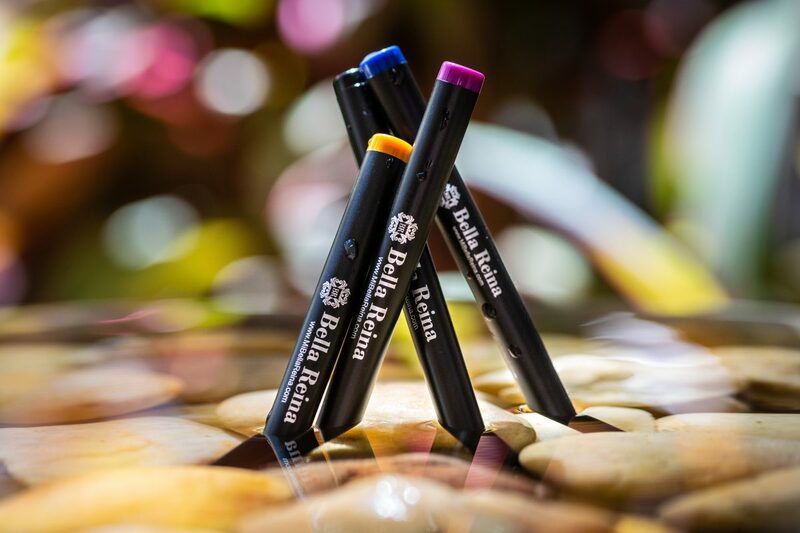 Bella Reina’s Liquid Eyeliner Pen has a felt tip brush that is so perfect it allows you to create a perfect line EVERY time – even for those of us that are not makeup pros! Better yet, it’s waterproof with lines that are sharp and sweat-proof. It’s a felt-tip liquid eyeliner pen that evenly applies the liner. A high precision, ultra-extra fine tip draws clean, sharp lines. Comes in four long-lasting, highly-pigmented shades. Includes black, blue, purple (plum) and brown. The color of each pen is on the end of each pen for easy access in your makeup bag. 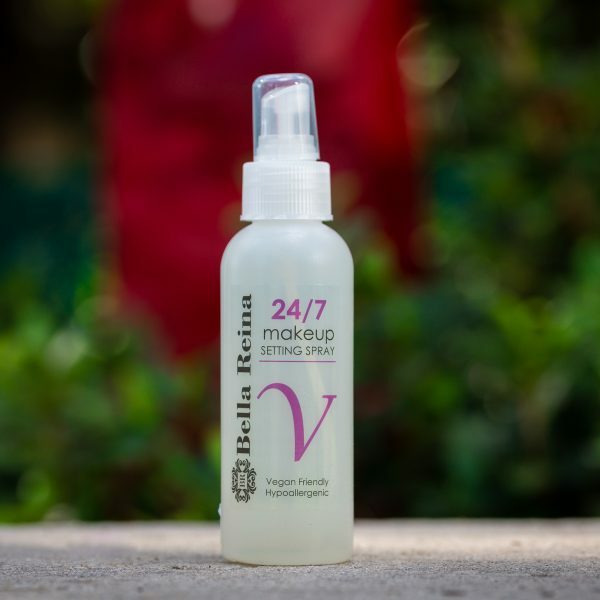 When you are ready to wash off your makeup, it removes easily with Vegan Makeup Remover. For more tips on liquid eyeliner pen, see some of our blog posts below. *Make a mistake, it’s easy to fix – just wet the tip of a Q-­‐tip with Vegan Makeup Eyeliner and erase. It cleans up quickly and easily. *The more coats of liner that you apply, the darker. 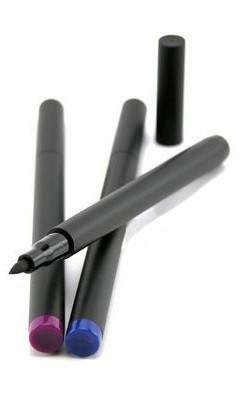 *The flexible felt tip provides ease of application close to the base of lashes with a fine line. *Create a more intense dramatic effect with slightly increased pressure. *When applying this waterproof eyeliner, apply a simple thin line for a clean look. *For a more dramatic smudged look, take a shadow in the same color and apply over the line. *For more drama, reapply the eyeliner and shadow twice. Eyeliner pen is very smooth in use, very light weight. It’s really dark black, which is awesome for me. I was using Bobby Brown’s gel eyeliner and it really is a struggle every day to put it. 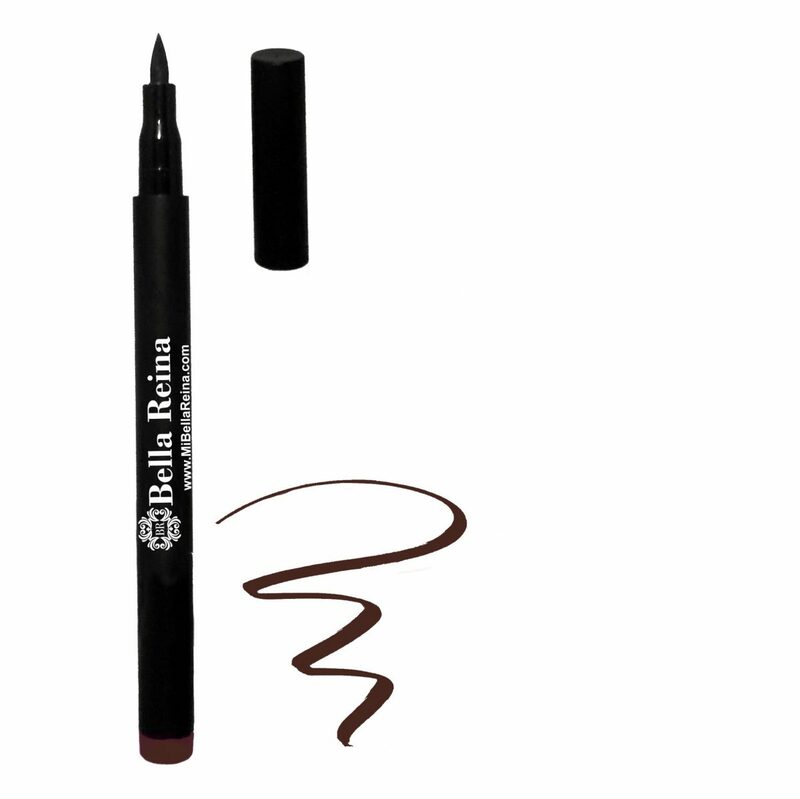 Bella Reina waterproof liquid eyeliner comes in a pen form and it’s easy and handy to use. Very easy to remove and does not leave any patches behind. I will give 10/10 for amazing results, reasonable price and is a must have product. I was amazed with the ease of application. The felt tip achieves precision beyond compare. The liner itself wears beautifully. No flaking, running or smudging. Love it! I can’t say enough about this liner. It last all day and night. The application is so easy. So I bought all four colors. 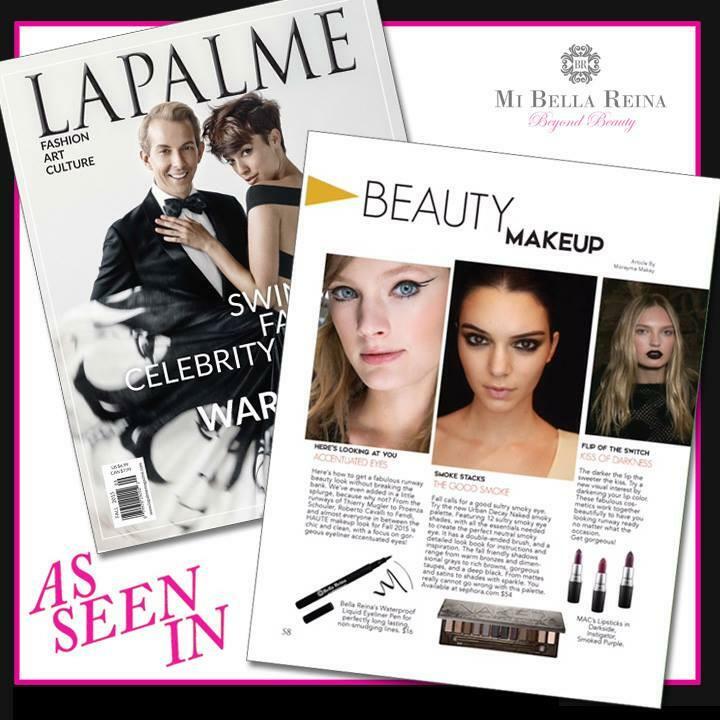 I have used the Bella Reina Eyeliner three times so far and each time, I found the liner stood up to the job beyond my expectations. The liner is amazing and I truly love it! I do not work well with liners, but when I perform, I am faced with the daunting task of using some make up and that includes using an eye liner. I found the felt tip pen applicator to be the perfect tool for the job! The liner goes on easy as pie and it stays put! In fact, I like this liner so much I will consider it part of my performance package and coming from me, a person who swore off liners, that says a lot! 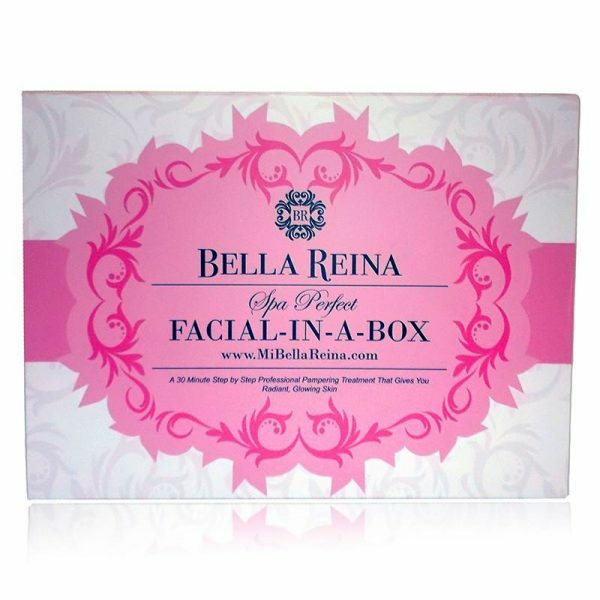 Thank you Bella Reina! You’ve got a winner! I am looking forward to trying some of your other beauty products as well! This eyeliner is so easy to apply, and lasts all day! Amazing. I absolutely love this eyeliner! I have all the colors but the purple is my fav! It goes on so easily and stays on all day…even in my pool! Definitely a winner and my all time favorite! The only complaint is that everyone else must love the purple as well because it is never in stock! I will definitely buy multiple when it comes in next time!